Owning an investment property isn’t a ‘set and forget’ activity – far from it. 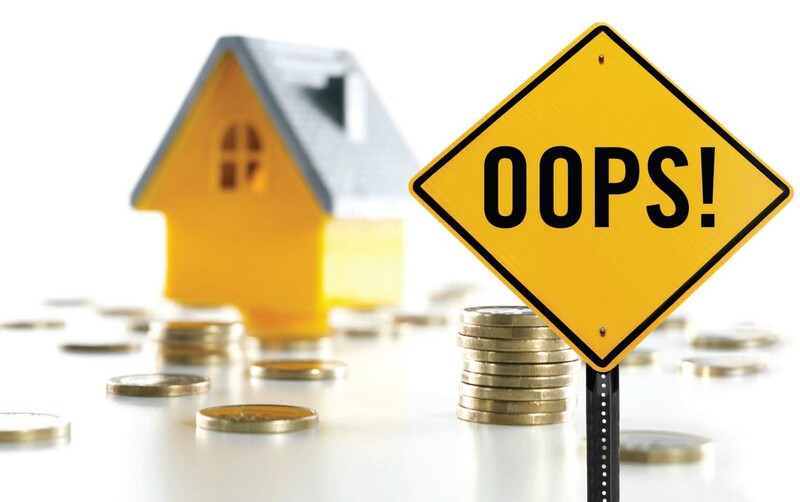 There can be a fair amount of work involved in being a good landlord, and making missteps along the way can cost you a small fortune. So many investors do this. They target an area with reputed high returns or super-cheap prices, only to find that either a significant employer change unravels their tenant market, or the area had low tenant demand to begin with. No investment is viable when months of no-rent strike. We can call them ‘low socioeconomic areas’, ‘slumlord havens’, ‘centre-pay cities’… the list goes on. If the investor is unaware of the character of the area, the challenges associated with lower socio-economic areas or the increased risk of wilful damage or arrears, they may get a nasty shock when issues start to arise. It is always a good idea to visit the location of interest and interview the property managers carefully about what you need to prepare for, avoid and cover yourself against. Tenants who select a property based on affordability rather than desirability have a greater chance of failing to pay rent due to financial hardship. And areas with higher crime rates are just that – they face a greater chance of being impacted by crime. Investors can spend hours shopping for clothes, and not a minute shopping for the person who will manage their most valuable asset. Selecting a good property manager should start with a thorough shortlisting process, a well-thought-out interview, and a host of relevant questions. If the decision is based on cost, things could get ugly. The decision should be based on who the best person for the job is. Clearly value matters, but if their price tag is above parity and troubles you, have a respectful conversation about it. Most property managers who sense that they’re talking to a great landlord will be open to matching (or coming close to) a decent competitor’s fee. Tenants hate being mistreated. There is no surer way to upset a good tenant than to refuse a reasonable maintenance request. A new lease every year will chalk up expenses faster than a replacement heater or oven. Worse still, any issues that could worsen without immediate attention could cost a lot more in the long run. In a tight rental market, most greedy landlords will eventually receive a tenant application. The issue, however, is that the tenants who are rejected by reasonable landlords will likely be forced to apply for the vacant properties that are more easily attainable – and this often means that a bad tenant will pay what it takes to secure a property at a lofty rental price tag. Beware greedy landlords: no amount of rent is worth having the tenant from hell. A good, experienced property manager’s job is to look after an investor’s asset. They may advise a landlord to reject an application, or they may have some clever suggestions to improve the appeal of the property in an effort to get a higher rent or a superior quality of tenant. Ignoring their advice makes no sense if they have been carefully selected, despite the initial expense or the extended vacancy period. I’ve experienced this first-hand, when my husband was too nice to a tenant he’d had in his property long before we got together. By the time we got married his tenant had settled in nicely at a rental figure some 30% below market. His attempts to bring her back to parity stung him, and she vacated with malice after she felt he’d been too hefty with his rental increase. Tenants do expect annual or bi-annual rental increases, and when they are left at the same rent for more than two years (assuming the market continues to move), it only leads to upset if the increase is too marked. Our civil administrator frowns on significant rental increases too, so landlords put themselves at risk if the tenant chooses to take them to the tribunal. Chopping out your property manager when you have no formal skills or experience is a nightmare in waiting, unless a perfect tenant is a guarantee. A good property manager is paid to manage more tasks than just forwarding the rental payment. They guide landlords, make tenant-related decisions and are a landlord’s best friend when a serious tenancy issue strikes. The issues they face range from maintenance to natural disasters, insurer fights, owners corporation problems, tenant loss of employment or change in circumstances, tenant death/murder/suicide and beyond. Self-managers who think they can represent themselves well at a tribunal are kidding themselves. Pay the small commission and stop being a tightwad. Put a value on your own time and do what you do best – leave property management to the experts. If your current property manager isn’t an expert, then change managers. From illegal granny flats to rooming houses without council permits, to Airbnbs in boutique blocks where residents are sensitive to short-term tenants, to crisis accommodation ideas without correct social support – these are just some of the creative ideas landlords can have. And they can cost them serious dollars when either wilful damage strikes, council comes knocking, or the price they paid for what they thought they were getting is actually an overpayment for a representation that wasn’t legal. Once a property has been purchased and settled, a buyer has limited (if not zero) recourse against the vendor. Be clear that what you are buying is actually legally permitted. Just because the tenant is great doesn’t mean a periodic (or ‘month to month’) lease is a good idea. All landlords should ensure they have a fixed-term lease in place that doesn’t end in a low-demand period, particularly in colder cities where winter rentals are unfavourable. The only time that a periodic lease is OK is when the landlord anticipates they will be issuing a notice to vacate (for whatever justified reason), or the rate of rental increase every six to 12 months is still positive. It’s not until a brick fence poses a safety threat or a tenant commits malicious damage and skips that a landlord wishes they’d taken out that title insurance or landlord insurance. For a relatively small cost, nobody has any excuses for leaving it to chance. Ask your conveyancer or solicitor about title insurance before settlement, and never be relaxed if your property manager has neglected to ask you about landlord insurance. Lastly, make sure your building insurance covers all items of concern and provides the right cover. Many strata policies are outdated, and I often find that building insurance cover is totally inadequate for today’s rebuild costs. If you completely outsource the task and pay no attention to how your property is being managed and whether your tenant is happy or not, you are at risk of some nasty surprises. Property management is a tough job, and not everyone in the role is capable, or able to stand the pressure. If you happen to have a tardy property manager, you won’t know whether ‘no news is good news’ applies, or whether no news means bad management. You owe it to your investment to keep in touch with your property manager and speak up when concerns arise. I remember my husband giving his mobile number to a tenant. She called with every teeny-tiny request and complaint, including a rant when her young neighbour partied. What should have been a police call-out became our problem at 1am. If you are paying a property manager, let them handle the 1am stuff when it arises. They are better equipped and don’t have any allegiances to worry about. Sending a valuer to a property to access equity for the next project shouldn’t be problematic – unless the tenant senses that the landlord is thinking of selling (or is being pushed by the bank to sell). It is always a good idea to reassure a tenant when a valuation is simply about equity. No investor wants a good tenant applying to vacate on the back of a false assumption that they will be vacated at an inconvenient time. Any and every city has its own historical capital growth chart, and the chart is never linear. In other words, the growth trajectory is never in a perfectly straight line exhibiting X% growth per annum. We have peaks and troughs, and sometimes static charts. Those who hyperventilate at a downturn and bet the farm during a run are foolish. Property is a long-term game, and anticipated long-term capital growth performance based on sound growth drivers should underpin every investor’s decisions. If it’s quick profits an investor is chasing, they should turn to faster-growth, higher-risk asset classes. Owner-occupier buyers won’t necessarily shy away from buying a tenanted property, but they will certainly take the tenancy agreement into consideration when comparing with other properties. Some buyers may be subject to time pressure when moving into their newly purchased property, in which case the tenanted property won’t be an option. Others may just feel emotionally excited (as first home buyers often do) and favour vacant comparable properties over yours. And those who are completely uncomfortable about the idea of taking on a lease will rule themselves out of the running altogether. Selling a property with the option of vacant possession or a lease in place is a better option, but only if the tenant assists in the selling process. When I consider all of the tough negotiations I’ve tackled, the lowest prices have often been achieved when a troublesome tenant has resisted private inspections and presented the property poorly. Never take the tenant’s support for granted: a gift card, subsidised rent and an honest conversation are the best ingredients for a positive sale experience. Or over the road, or in your subdivided backyard. Who really wants to live next door/over the road/beside their tenant? Enough said. This mistake is a common one. We often say to people, “If you aren’t happy, change”. So many landlords hold the incorrect assumption that their lease ties them to their property manager, when in fact it only ties them to their tenant. The critical commitment time that a landlord is bound to their property manager is only for the period of the lease. For example, if the exclusive leasing period is 60 days, the landlord is bound to stick with their manager for either 60 days or until the property is leased (whichever is the former). No landlord should feel locked in if service is substandard after a tenant is in place, although we always recommend an honest conversation about any issues that arise before a property manager is determined to be ‘outed’. Those landlords who give their current property manager reasonable opportunity to rectify issues and get limited solutions should breathe a sigh of relief if confrontation makes them anxious. The new manager will coordinate the break-up on their behalf through a simple request for the file to be prepped and ready for collection within a day or so.